The ESA's Gaia mission currently has the astronomy field in a fervor thanks to its incredibly detailed and meticulous observations. Could this mission be the future of astronomical studies? ESA’s Gaia satellite has cataloged about 1.7 billion stars in the Milky Way. This is the largest stellar map ever, and it provides astronomers with unprecedented amounts of data. Throughout history, scientists, philosophers, artists, and dreamers alike contemplated the night sky studded with “innumerable” twinkling stars. Today, scientists can finally begin to answer the question of how many stars there are in the observable universe. Of course, this answer includes stars that the naked eye can’t even see. At the lower end of estimations, the Milky Way alone is home to about 100 billion stars of different sizes and types. Despite our advanced tools, we can not see anything farther away than 13.7 billion light-years from us. Knowing the number of stars alone isn’t enough for astrophysicists. Measurements of their positions, patterns, trajectories, and velocity may one day allow astrophysicists to peek into the workings of cosmological mechanics. We’ve already reported about the recent efforts in galactic archeology, like GALAH, short for the Galactic Archaeology with HERMES. Using a sophisticated spectrograph, the GALAH mission has, as a first step, collected stellar DNA data of over 340,000 stars, with the aim to study their evolution. Mapping all the stars in our galaxy is a mammoth undertaking, but scientists are making their best efforts. To do this, they collect data that helps them understand the formation and evolution of our Milky Way. Since 2013, the European Space Agency (ESA) has been working on another ambitious galactic cartography project, called the Gaia mission. 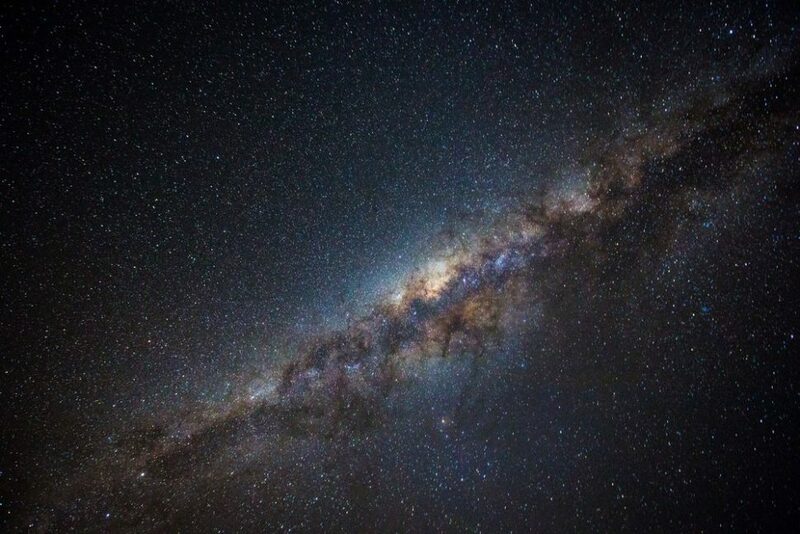 This is a leading initiative that seeks to create a 3D galactic map of the Milky Way. To do this, they have built Gaia probe, which is the world’s biggest and sharpest digital camera with each photo containing 1 billion pixels. In simpler terms, this camera is capable of measuring the diameter of a human hair from 1000 km away. The mission aims to map the location and trajectory of around one billion stars. This was an initial goal that it already exceeded about a year and a half ago. On Sept. 14, 2016, the Gaia mission issued its first data release (DR1) which included data on around 1.1 billion stars. Then, last month, the Gaia team released the second batch of results (DR2) which contains data on nearly 1.7 billion stars. As huge as that number might sound, it’s only about 1.7 percent of the Milky Way’s star population. Yet, this is the largest and most precise 3D chart ever made of our galaxy, which will keep astronomers busy for the foreseeable future. What Does Gaia’s Stellar Catalogue Entail for Modern Astronomy? For each of the 1,692,919,135 stars, the Gaia mission provides information that goes beyond a simple total number. The 3D catalogue includes data about each star’s position, motion, brightness, luminosity, magnitude, temperature, and other useful astrometric and photometric data. The aim behind this space mission, as with all other satellites, probes and other spacecraft, boils down to data collection and processing. With the first and second data releases, the Gaia archive now has 550 GB worth of data, which is available as a downloadable file for scientists. With the Gaia mission, scientists will have an unprecedented mass of data at their disposal that brings modern astronomy into a new era. A meme by Emily Rice, an astronomer at the City University of New York, sums up exactly how the field feels about the newly released Gaia data. The Gaia probe is still out there, and the mission isn’t complete yet. In fact, DR1 and 2 are only based on a 36-month-worth collection period that ended in May 2016. There’s a third data release expected in late 2020 to add spectroscopy data. To add to this, there will be a comprehensive final release by the end of 2022, which will also include an exo-planet list. Do you think other space agencies could learn from the Gaia Mission’s success?